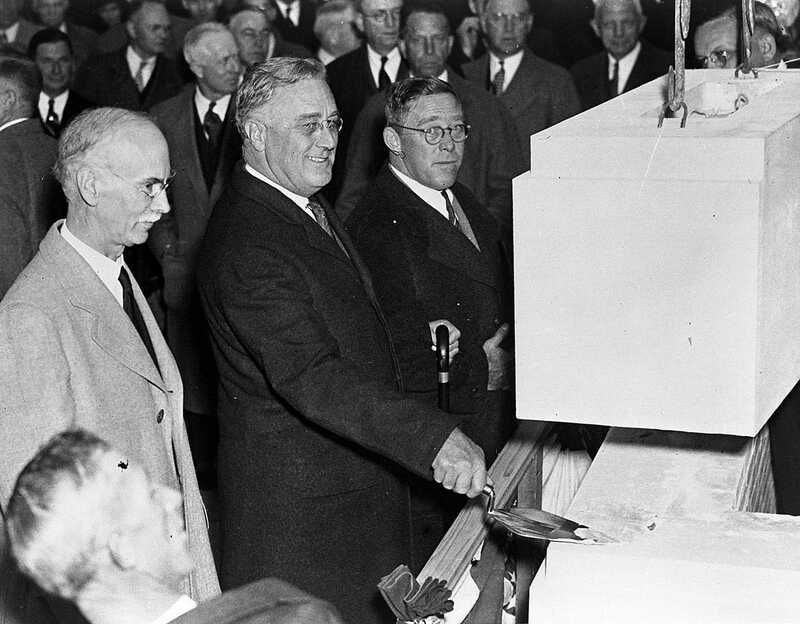 President Roosevelt lays the cornerstone of what is now known as Weiskotten Hall (1936). This trowel is part of the Special Collections holdings at Upstate. The Archives and Special Collections department is heavily reliant on materials donations to grow our holdings. Donations in-line with our Collections Policy are welcome, and we encourage potential donors to contact the department to discuss a potential materials deposit. Though financial support is not required for the donation of materials, the cataloging, arranging, and preserving of archives and special collections are costly tasks. Monetary donations are always appreciated, especially in support of a particular collection or materials deposit. A donation may be made to the Friends of the Library Archives and Special Collections Fund by contacting the Upstate Foundation.